LAUNCH CRP329 is a Comprehensive Diagnosis Instrument. 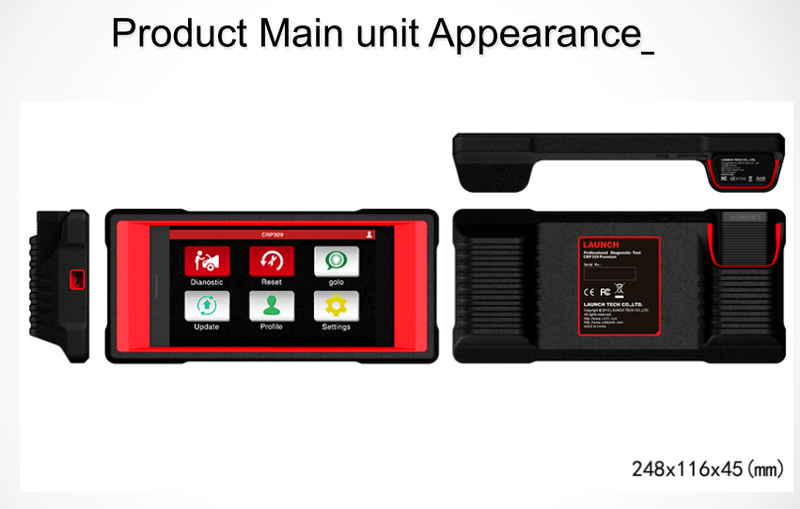 It Includes full function of OBDII/EOBD, and supports more functions of the full system (Engine, Automatic Transmission, Airbag, and ABS etc.) of certain models of car, such as read and reset code, multi language, data stream picture display, storage and playback of dynamic data stream, as well as reset function (Reset Brake, Oil, SAS, Battery, DPF, TPMS, etc.) It has touch screen, Android system, wifi communication and powered by a battery .